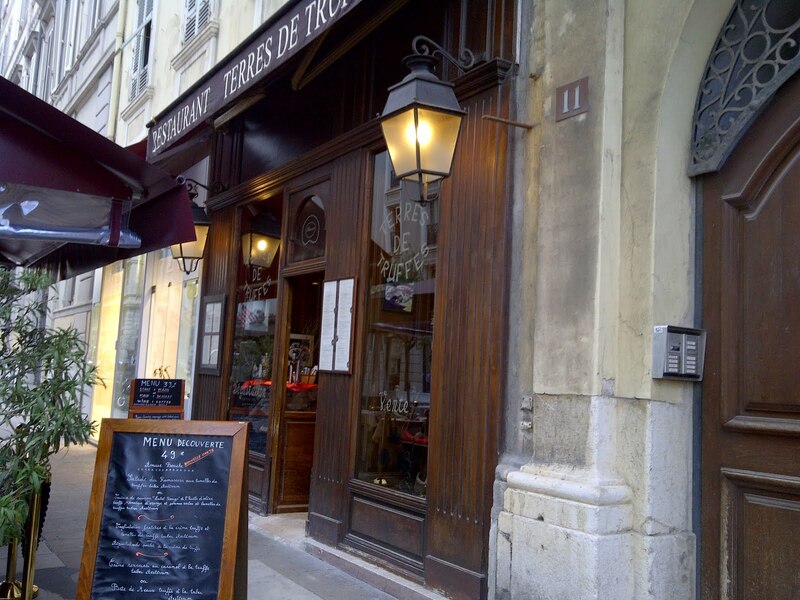 Touring the French Rivieria (and surviving falling over waterfalls) works up one's appetite and I decided it was time to find something delicious for dinner. 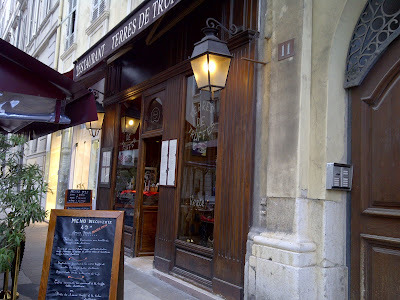 I stumbled across the Restaurante Terres de Truffes and immediately sought to reserve a table for dinner. I cannot think of any other ingredient on earth that I love more than truffles; rich, earthy and pungent, they add a dimension of flavour that is without comparison. 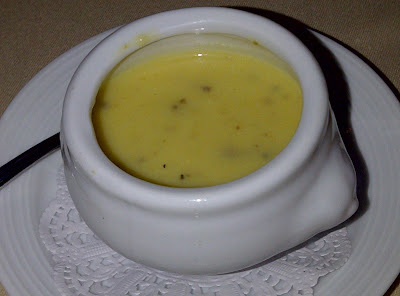 The earthy smell penetrated the restaurant and the aroma in the air was enticing. The restaurant offered at 49euro set menu (three courses plus amuse bouche) which was great value for the quality and quantity of amount of food provided. 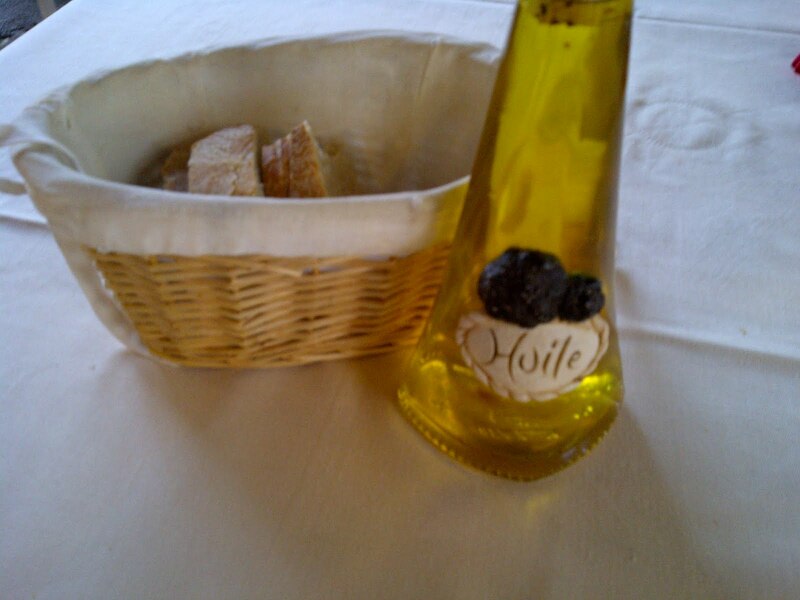 One of the nicest surprises was that a bottle of black truffle oil was provided for the table. Considering the restaurant sells the bottles for 10euro for 50ml, it was a nice gesture. For appetiser, I ordered the salmon tartare with truffle, orange vinegar and a green salad. 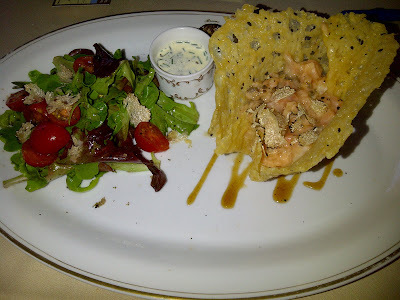 The salmon was served in a cheese basket that was tasty but didn't really compliment the fish. The salmon itself was wonderful and the salad was tangy and refreshing. The chive sauce was tasty but redundant as the vinaigrette on the salad was more than sufficient additional flavouring. The waiter, Ludovic, was absolutely run off his feet that evening. He was attentive and amusing especially whilst trying to move the tables out of the rain, and although harried, was wonderful. 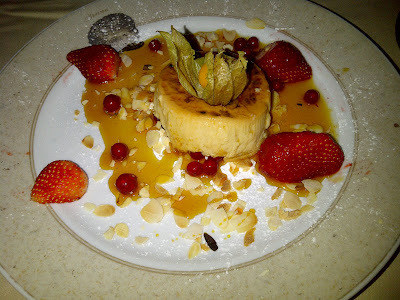 For dessert, I ordered the creme caramel with truffle sauce and berries. 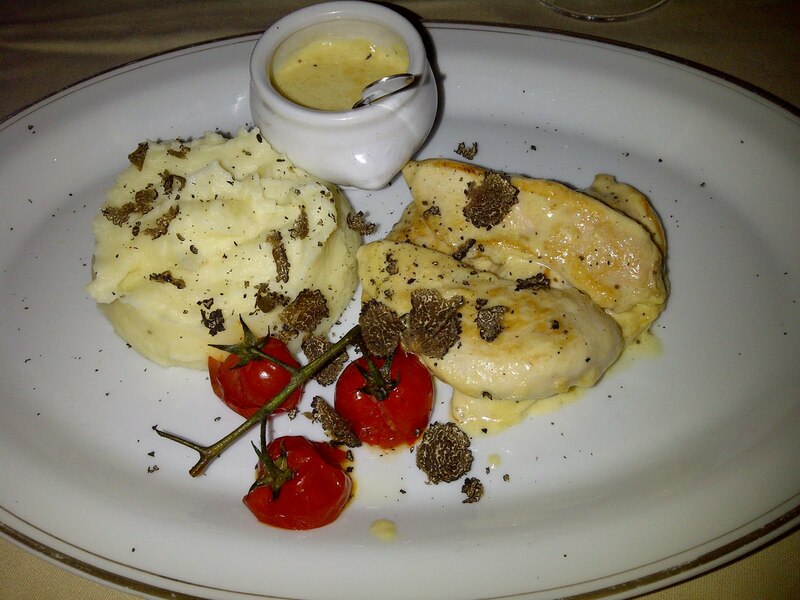 It was difficult to taste the truffles in this course. The caramel was a little bitter for my taste so I just ate the berries. I thought it was a delicious meal and would happily return. I did notice that the other tables around me also seemed to be enjoying their meals, with the exception of those who ordered the beef who said it was too tough. Oh well, c'est le vie!